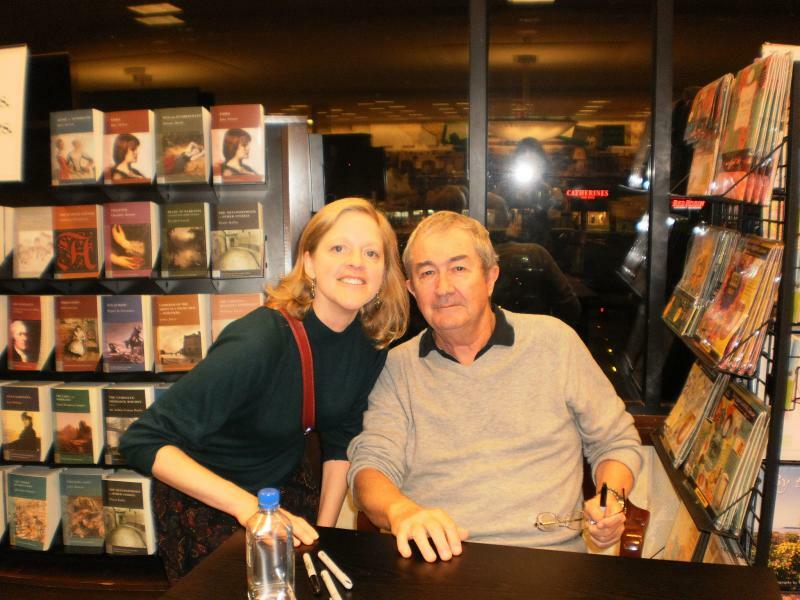 Authors and fans meet at bookstore events. Here are some exceptionally talented authors that I've been fortunate to meet. John Flanagan speaking about his new series BROTHERBAND CHRONICLES: BOOK 1, THE OUTCASTS. 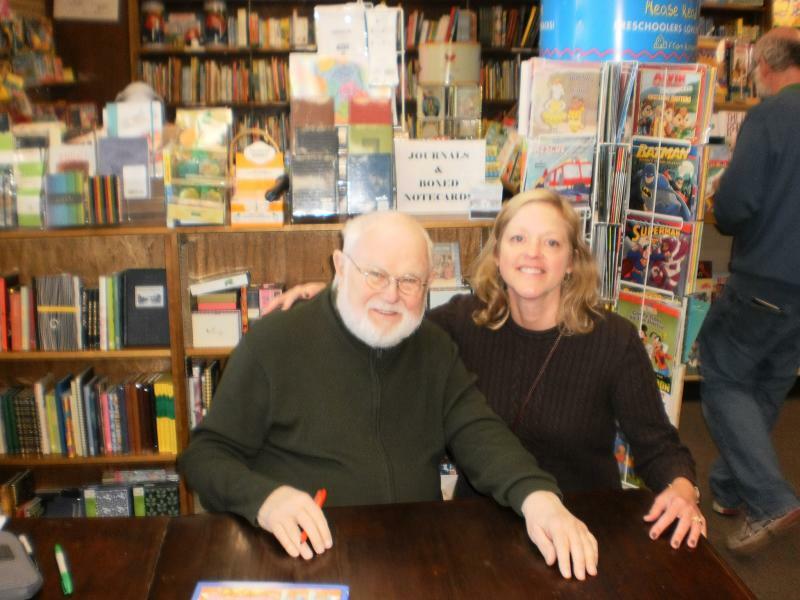 Here is Tomie de Paola at a bookstore event for his new title STREGA NONA'S GIFT.